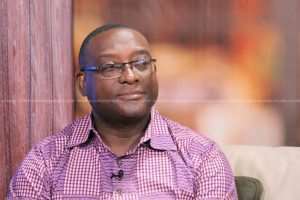 Contractors have moved to site to begin work on the arterial Ashale Botwe roads, the Member of Parliament for Adentan, Yaw Buaben Asamoa has said. Mr. Asamoa urged residents to exercise patients ahead of the expected commencement of construction work on some of the roads in the constituency. “Please be calm and relax because the contract for asphaltic overlay received approval last year, and was awarded to JUSTMOH construction whose equipment was seen recently scarifying the 'Highways Junction' part of the road,” the MP said in a statement. “That road has a particularly difficult section near the 'Yoo Mart'. I am pleading that road users and residents be patient whilst the new road is delivered,” he said. I have taken positive notice of media reports as well as an internet petition seeking action on the road. No doubt the poor surface of the road, especially bad in certain sections, makes residents and users anxious. Please be calm and relax because the contract for asphaltic overlay received approval last year, and was awarded to JUSTMOH CONSTRUCTION whose equipment was seen recently scarifying the 'Highways Junction' part of the road. I immediately went to work. With the Presiding Member, Municipal Chief Executive and Municipal Urban Roads Engineer in support, a process was pursued that resulted in a pledge of works on about eleven (11) major arterial roads by the Ministry of Roads and Highways (MRH). Moreover, the Ministry sanctioned the continuation to completion of the Dual Carriageway in the 'Aviation' area. The Ghana Canada road which is virtually complete. The Contractor is on site already, working on drains on the especially bad 'Nsuonano/Lakeside road. Amanfrom (Regimanuel) to Katamanso is also ongoing. 'Lotto Kiosk' in front of Oyoko Clinic is also ongoing. Then of course the Ashale Botwe asphaltic overlay. Considering the state of the national coffers the Nana Addo Government inherited, I believe the Government has been very generous to Adentan Constituency with the above roads. Indeed, Adentan is also to benefit from the Synohydro infrastructure package with a 22 kilometre dual carriageway from the Aburi road junction to Dodowa. That road has a particularly difficult section near the 'Yoo Mart'. I am pleading that road users and residents be patient whilst the new road is delivered.